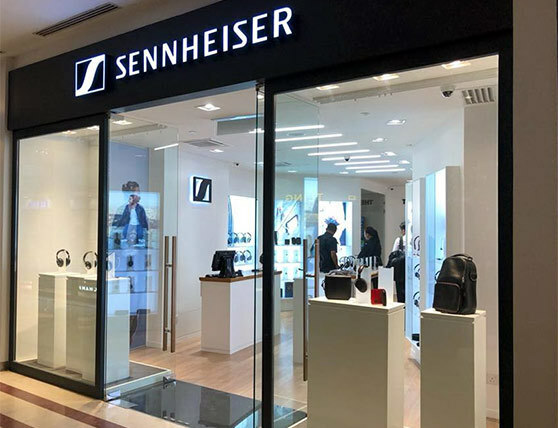 The Sennheiser Stores offer you access to the world of Sennheiser. 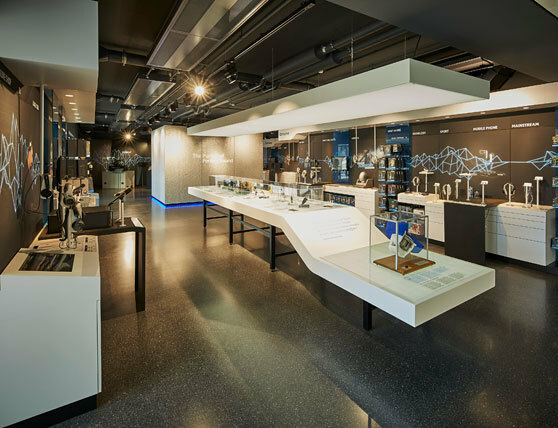 Visit us in Berlin, Singapore and the Wedemark to experience leadership in audio. 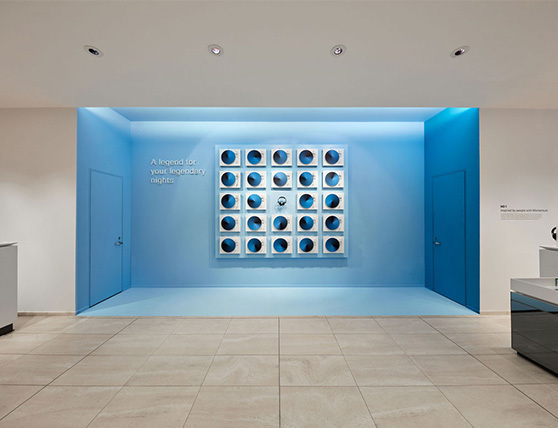 You want to get the ultimate audio experience? 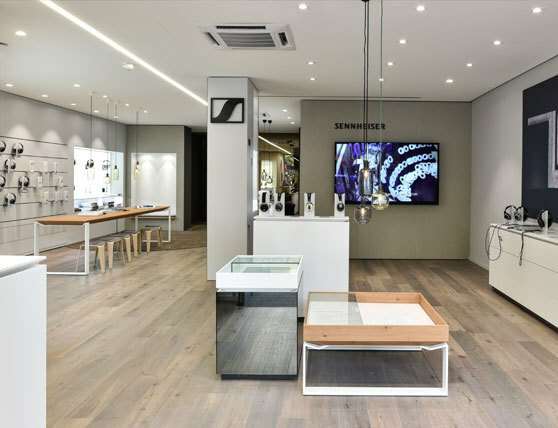 In the Sennheiser Brand Stores you have the chance to try hundreds of Sennheiser products, enjoy special events and get a glimpse of the Future of Audio. 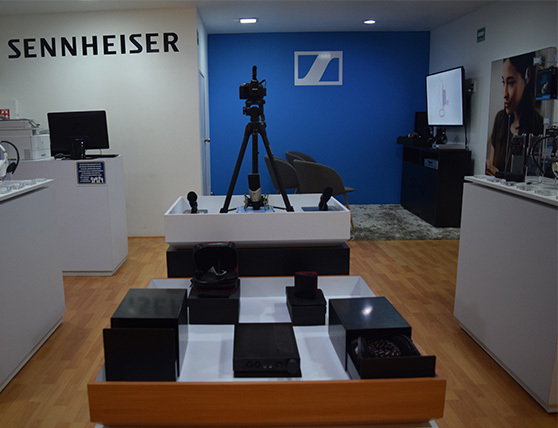 Visit us now and take a piece of Sennheiser home. 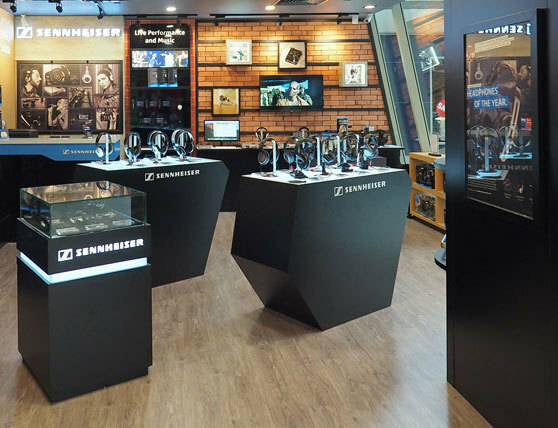 We do not offer the AMBEO and HE1 at the Singapore store. 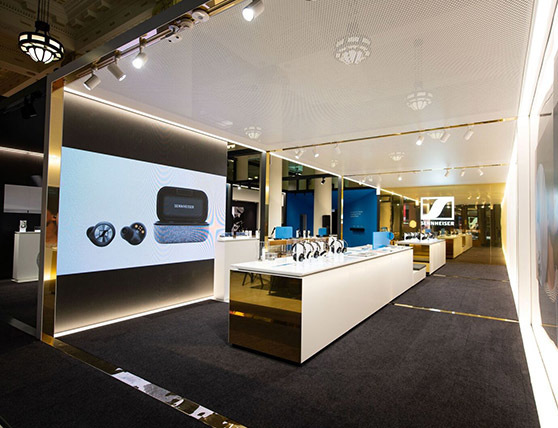 We do not offer the AMBEO and HE1 at the Mexico store. Transforme sua jornada. Vá de primeira classe. Com o app CapTune, personalize seu dispositivo de som, incluindo nível de cancelamento de ruído para satisfazer suas necessidades individuais.